VILLAGERS in Uttara Kannada district are waging a battle against Karnataka Forest Department officials who are allowing contractors to fell trees in the betta lands -- tracts of forests sanctioned to farmers of the region during British rule. The trouble began in March when villagers in Adnalli gheraoed a contractor who had been permitted to clear nearby jungles of dead trees, but had in addition felled several green trees in 14 ha of betta lands claimed by the villagers. Forest department officials now say the farmers have no rights over the betta lands, after first saying it had not realised the felled trees were in the betta lands and then accusing the villagers of cutting down the trees. State minister for forests Eti Shambunath has said the farmers have no rights over the betta lands and had no business preventing the transport of "dead trees" from the lands. 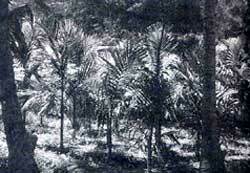 The betta lands, sanctioned by the British as a special privilege for the farmers for collecting leaf manure and fodder, have been disputed since Independence. In 1973, the government gave the farmers rights to the land till 1978. But the Forest Conservation Act of 1980 does not mention the ownership issue and the forest department gives contracts for tree-felling. According to reports, timber worth Rs 5 lakh has been cleared from the Adnalli betta lands in the past few months. The angry farmers, who grow areca and spices, have formed an association and a forum for the betta lands to be restored to them. The high court, meanwhile, has stayed the lifting of timber from the betta lands.